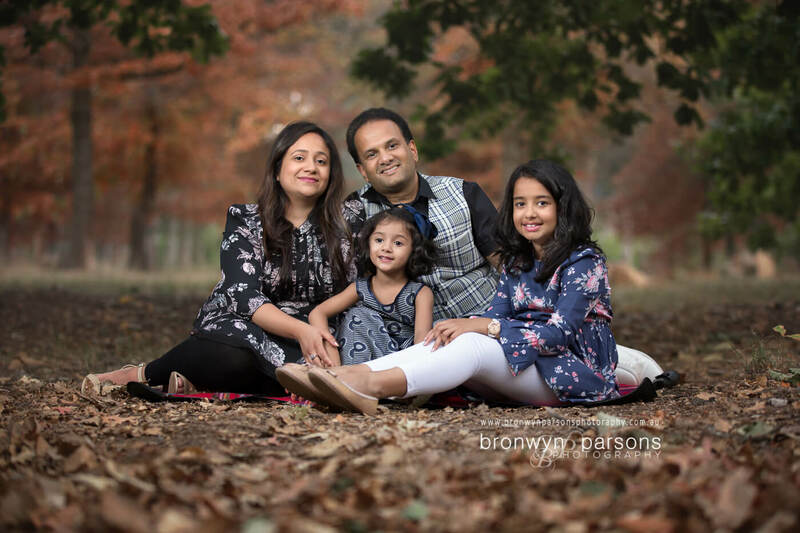 Bronwyn Parsons Photography is a full-service professional family photographer, undertaking family portrait photography in Canberra and Queanbeyan. 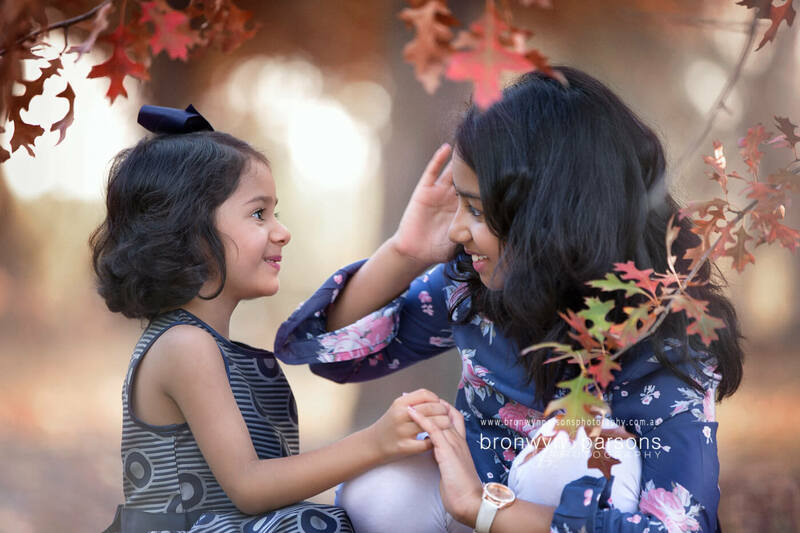 Our family photography sessions capture emotion, love and the connection you share with your family. We're so happy you've recognised the importance of having quality family photographs of your closest loved ones. One day those family portraits will become your most cherished memories of watching your children grow. Something happens to us when we see pictures of ourselves with family. We feel the little details that remind us of that moment in time and nostalgia sets in. Pictures, like memories and stories are your families legacy. Family portraits are passed down and being present in them will one day be the most precious gift your children and your children's children will have to remember you by. We take so many photos with our phones and I often wonder if snap chat filters will be what remains for our children to remember their childhood by. Mobile phones are so convenient but they leave a void in family photos that can't be filled unless you decide to be in them too. Nothing is more precious than having beautiful family photos. Life gets busy with little ones and we're all guilty of putting them off. "I have nothing nice to wear, the kids will never sit still, the pre-baby body is gone, we can't afford it" Sound familiar? Life's short, kids grow up fast and little moments pass by so quickly. If your here, reading this it means you've been thinking about this for quite some time. Now's the time act, give us a call and lets start creating something special together. We want your children to be children and your family to be you. Family photography is our thing! We've produced beautiful family portraits including toddlers and threenagers in the midst of every human emotion known to man. We've woven the magic of a child's imagination into stunning family portraits, have made family photography appealing to teens and have helped remind families of the people they were and the people they will always be. We don't insist on smiles, or make you dress in matching outfits (awkward! ), we won't make you strike a pose (unless you want to!) but we will capture your family bond in a way that you want to remember, showing the love and connection your family shares. We don't just give you a date and show up on the day. On average we invest 16 hours behind the scenes planning, consulting, capturing, post-processing, delivering your beautiful fine art and following up with you. We aim to give you all the tools, share all our tips and tricks to make the process a stress free and enjoyable experience. If this sounds like something you need, let's start creating something beautiful together. Regardless of what stage of life your family is at or how your family is structured, the countless little moments you share make your story unique. Our first step is to talk to you about your family photography needs. To capture your families story we take the time to plan your session by learning about the adventures you've shared, what family stories you have, what traditions you share, what funny little things your kids do, what struggles you've faced and how you'd like us to capture these moments for you to remember in years to come. We aim to find out a little about the decor in your home so that we can guide you on locations and wardrobe styling that best suits your lifestyle and your homes decor. We will help you coordinate colours and textures and assist you to style the entire crew from things you already have. We can provide advice on natural looking hair and make-up, provide tips and tricks on how to flatter natural features and will even help you prepare young children for the experience. We provide clients with a phone consultation and a comprehensive family session guide so you can refer back to it at any time. You'll also receive our product guide to get you thinking about where you'd like to display your beautiful family portraits and the exciting options ahead beyond a standard canvas or 8 x 10. 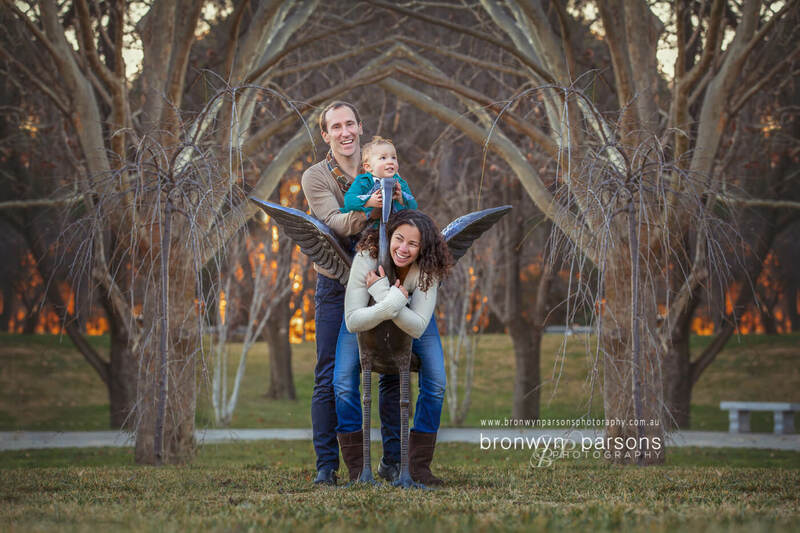 We are one of Canberra’s best affordable family and children’s photographers. Choose just the essentials, something in between or indulge in the ultimate full service experience. Bronwyn Parsons Photography operates by appointment only. Our calendar typically books 3 months in advance. To avoid disappointment, we recommend pre-booking in advance of your preferred session date. From time to time, we do have last minute openings and welcome you to contact us to be placed on a wait list if you require a last minute booking. Session Fee: $100. The session fee is payment for the photographer’s time in undertaking work that happens before your session, communicating with you and during the session itself. It does not include any digital or printed products. Prints: Fine art prints with art mount start at $85. Fine art canvas wall mounts start at $165. Premium metal wall mounts start at $215. Traditional famed fine art wall mounts start at $290. Acrylic wall mounts start at $400. Want to see more? Check Out our Family Photography Portfolio to see examples of our current work. lovely experience, great professional attitude. Bron is an amazing photographer who takes her time to get to know you and ensures your session will run exactly as you expect. I have had 2 sessions with Bron and would absolutely recommend her. We had an absolute blast with our recent smash session for our 1 year old, so much fun we forgot the camera was even there. thank you so much, couldn't be happier with the beautiful photos we received. Bronwyn booked us in at the last minute and despite us requesting a very particular and challenging photo shoot, her patience and determination for perfection, made magic happen. I can not thank you enough for these absolutely magical photos. I will treasure them forever and I can’t wait to book our next session in with you! I was so happy with the photos! And not only did she do an amazing work, she was also patient and gentle with our little one. We love our photos so much. Thanks Bronwyn �� We get so many compliments about our beautiful daughter's photos. I'm a bit late but wanted to say thank you so much for the beautiful photos of our son. You were so patient and caring with him. Even though he was a bit grumpy and my husband and I were completely exhausted you worked so hard to settle him and create beautiful photographs for us. We are thrilled with how the photos turned out. We won't hesitate to recommend you and look forward to you capturing future milestones for us. Bronwyn captured our little darling just beautifully we have pictures to cherish forever. We spent a lovely afternoon with Bronwyn watching her work her magic - her patience is outstanding! Delighted with the results at such a reasonable price, will def be back for more. I had already booked my newborn session with another photographer but then I came across brownyn parsons page and fell in love! I was happy to leave my deposit at the other photographer and try brownyn. A part of me was feeling unsure if this was worth putting a 100 dollars down the drain. The day finally came when my bub arrived. The best thing about brownyn is that she keeps in touch. She messaged me if I had delivered and since I was over due she happily accommodated me on another day. On the day of the photoshoot she came out to get my 9 day old out of the car seat. My Bub pooped and peeped throughout the session and she was so calm and cooperative about it. Not once did I feel embarrassed. She was so gentle with my baby, making sure bub is happy throughout the session. Even the way she holds the baby is so professional that as a new parent I was at absolute ease! I will definitely go back for my baby's 6 month and 1 year shoot. Now I can confidently say I am happy to have chosen brownyn parsons photography and not once do I regret letting go of my deposit at another place. Her picture results are to die for! She really does justice to the pictures! My bubs pictures are something I would cherish for the rest of our lives! Thank you! Our little Edward looks adorable and we are so happy with all our photos. Bronwyn is amazing with babies and captures truely special moments. Could not recommend highly enough. Thank you for all your hard work Bronwyn at my recent maternity session. You made me feel so relaxed and the photos are beautiful. It was the best decision I've made to get photos done with you. The perfect way to remember my pregnancy.I'm really looking forward to the newborn session soon! We saw Bronwyn's newborn photo shoots and knew that we wanted her to capture our newborn. She didn't disappoint. Bronwyn took time to work with our baby and capture such beautiful photos that we will treasure. We will recommend Bronwyn and hope to work with her in the future. Thank you! Beautiful photographer, beautiful person.Love admiring her pictures on Facebook and did amazing photos for my Cafe, Tommy & Me last year. The photos were a real asset to the business. Thank you for the beautiful newborn photos! Bronwyn was fantastic, professional and really good with baby Bill! I definitely recommend her to capture those precious moments!Fast forward another year and we had our cake smash photos done. Wow, wow, wow! I just loved it! Bronwyn is amazing! Photos are perfection! We'll be back next year!!! 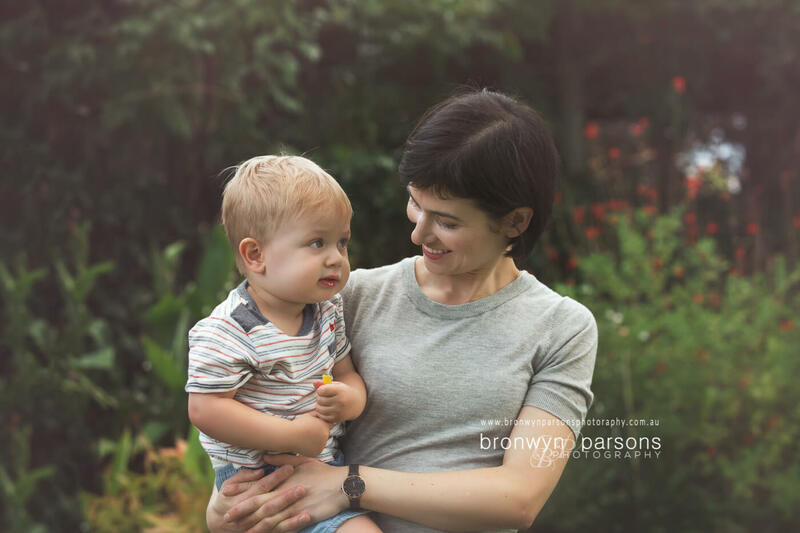 Bronwyn was wonderful and we now have a beautiful range of professional photos of our little family. Bronwyn was very easy to work with and made the whole process very easy, even rescheduling on very short notice when our son became sick right before our shoot. Bronwyn took the time to shoot a range of photos and edit them beautifully. We couldn't be more pleased with the selection we received and will happily recommend Bronwyn to our friends and family. I was very impressed by Bronwyn's service and photos! She was very patient with my lil boy who keeps grunting at her. She was very accommodating with timing and her photos are gorgeous. I would not hesitate to recommend her to my family and friends! My wife and I can not express enough in words how amazing Bronwyn is and the quality of work she has produced! Bronwyn is very professional in the way she works and very talented in the way she handled our daughter on the day, which made us very comfortable. We can not thank you for catering to our needs with the special photo request by myself. We look forward to future work with Bronwyn. Bronwyn is such a talented, warm and patient person. My partner and I wouldn't have gone to anyone else for our new born photo's. We were extremely happy with the result from the photoshoot. The whole 3.5 hours we knew our child was in safe hands with Bronwyn when she was changing positions. Thank you again Bronwyn, your work is fantastic! Professional, patient and beautifully captured images. Thank you so much Bronwyn for photographing our little family. We will cherish these gorgeous memories of our little ones first weeks. My husband and I are absolutely in love with the Cake Smash photo's of our son! We will cherish them for a very long time and we could not be happier with how wonderfully you have captured Leonardo's eyes and his big, cheeky personality!!! We were so happy with the affordability, service and experience you provided for us at this special milestone. Thank you for a wonderful session which was so relaxed and fun for us as well as for our son. I have not hesitated in promoting you to our friends and family.Renee. We had a newborn photoshoot with Bronwyn a couple of weeks ago and my husband and I both thought she was fantastic. Our son was a little older than normal for a newborn session, but Bronwyn managed to get some gorgeous photos of our son doing newborn poses. She was also fantastic and super patient with our toddler who came along (and was a little unsettled that day) and we now have some wonderful family photos as well. I highly recommend Bronwyn. Bronwyn is fantastic! I have three kids 3 and under, so getting photos of everyone is hard work. She was so patient and worked so well with all of us. She worked her magic and our photos look fantastic! I could not be happier. I would recommend Bronwyn to anyone looking for a photographer in the area. She is brilliant with her work. Absolutely AMAZING!! Bronwyn was fantastic with my baby!! I can't wait for future sessions with her!!! You won't be disappointed! Bronwyn is amazing and so talented. Bronwyn captured beautiful images of my 6 month old son, Aidan. She was so great with Aidan that he didn't want to leave. Bronwyn made us feel comfortable and had so many great ideas to capture different moments. I would highly recommend Bronwyn and can't wait to get more photographs done in the future!! Bronwyn recently captured my three children as a surprise for hubby for Fathers Day. The photos she took were gorgeous, it was hard choosing which ones to take home! Bronwyn was happy to cater for my children's needs and my own ideas. Thanks Bronwyn for my beautiful photos :-)Edited to add: Had a second session with Bronwyn for my daughters cake smash. Bronwyn's warm nature brought my usually shy bub out of her shell immediately (even Grandma struggled to get a cuddle, Bronwyn was the favourite!) and her cheeky side was captured beautifully. Recommend to everyone! Bronwyn came to the Tommy and Me Cafe 1st birthday where she snapped gorgeous photos of the event and the kids attending... She has a real eye for catching moments in time and does so in a way that is very relaxed and comfortable. I am thrilled with all the snaps she got of my girls! Bronwyn recently did a newborn session for my daughter, Ivy. Bronwyn's creative ideas are amazing and on top of taking absolutely exquisite photos, She took all the time needed to make sure baby Ivy was very comfortable and calm during the shoot as well. We had a wonderful experience and can't recommend Bronwyn Parson's Photography highly enough.